During their journey in the United States, the TechWomen participants left their footprints in many places. One of the stops along the path for three TechWomen from Lebanon, Egypt and Algeria was the Crystal Springs Uplands School in Hillsborough, CA. 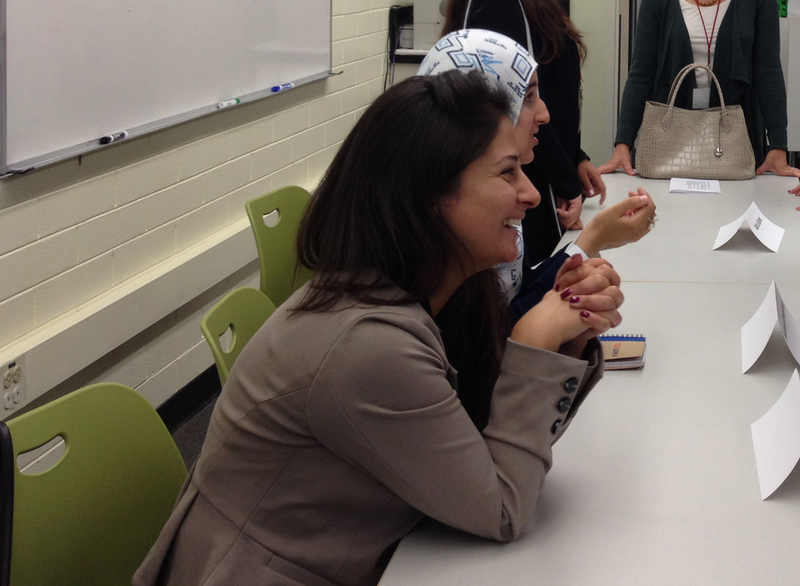 The TechWomen’s intent for this visit was to learn more about education and everyday life in the United States. What they did not expect was that this exchange would capture the hearts and minds of the students they encountered. The second day of WISE focused on Achieving Effective Reforms, and I attended a fantastic session entitled Learning from Game Changers. One of the speakers, in particular, was exciting not just due to his incredible experience and the impact he is having on his community and beyond, but also because of the potential link with TechWomen.